The exhibition organiser is The Women's Library Inc, (ABN: 41 769 220 943) a not-for-profit enterprise registered with the Australian Securities and Investments Commission. Our address is 8-10 Brown Street, Newtown. 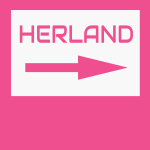 The exhibition, Herland, In search of a female utopia, will be held at The Women's Library in Newtown (NSW) from Friday 8 March 2019 to Thursday 4 April 2019. Submissions are open to Australian women engaged in an established or emerging arts practice in any artform. Work submitted must be the original work of the exhibitor (or one of the exhibitors in collaborative works) and must reflect the theme, Herland, In search of a female utopia. Entries close at midnight on Thursday 7 February 2019. It is not possible to extend the closing date. Successful artists will be contacted by 16 February 2019. Selected work must be delivered to The Women's Library on Friday 22 February 2019, or ealier by prior arrangement. Exhibitors should ensure that works are properly packaged and have sufficient protection while in transit. The Women's Library is an intimate space that houses a specialist collection of feminist and lesbian literature, as well as books for, by, and about women. Artists are advised to view the space before making a submission to ensure that the work can be accommodated. We encourage artists to create work that engages with the library space or its collection. Contact the Curator, Freÿa Black, (exhibitions [at] thewomenslibrary.org.au) if you wish to discuss your submission or the space. The Women's Library is open to the public five days a week and is used by women's groups outside opening hours. The greatest possible care will be taken of all works included in the exhibition but no responsibility will be accepted for the loss of, or damage to, any entry. The exhibitor indemnifies and holds harmless The Women's Library in respect of any damage that may be caused to exhibits. The exhibitor is responsible for insurance of the work while in transit, in storage, and during the exhibition. An Entry Fee of $10.00 is payable for each work selected. This fee contributes to expenses associated with the exhibition — advertising, promotion, set up costs, and the opening reception. The Entry Fee does not include insurance or the cost of return postage for any work. The Entry Fee is to be paid when the artist accepts the offer to exhibit her work. A discount may be granted to artists who are unable to pay the full fee. Artists who wish to sell exhibited work must provide contact details to be included on the exhibition price list, and agree to be contacted directly by interested parties. The library staff will not be responsible for any sales. The artist is responsible for conducting the sale of any work directly with the buyer and for the collection of GST, where applicable. When work is delivered to The Women's Library, the title indicating the name of the work, medium, and price must be provided. Alternatively, works that are not available for purchase must be clearly designated Not for Sale. Any work sold must remain on exhibit throughout the designated exhibition period. Artists must notify the Exhibition Curator of a sale so that the artwork may be marked as Sold. Details of the sale and selling price must be provided to The Women's Library before work is removed at the conclusion of the exhibition. In return for the opportunity to exhibit at the library, The Women's Library Inc. expects a donation of fifteen (15%) percent on artwork sold during the exhibition or within one month after the showing. The donation is tax deductible. The Women's Library intends to publish and sell an exhibition catalogue which may include commissioned photographs of the work and extracts from Statements submitted with the work. These Statement extracts may be edited at our discretion. The Women's Library holds copyright in this publication and may choose to offer it for sale in digital as well as printed format. The exhibition will be advertised and promoted by The Women's Library. Photographs of the work and extracts from the catalogue may be used in printed or online publicity material. Every attempt will be made to acknowledge the creator of any work used in advertising or editorial material. Work that is not sold is to be collected at an agreed time and date that is suitable for both the artist and Curator. Artwork that has not been collected by 19 April 2019 will be returned to exhibitors at their cost. Exhibition of selected work is at the sole discretion of the Exhibition Curator and The Women's Library's nominated representative. The Women's Library may cancel the exhibition if unforeseen circumstances arise. In submitting an entry via the official entry process, the exhibitor acknowledges and accepts the Conditions of Entry.